This week’s map takes a look at Europe using two economic metrics: unemployment and GDP growth. One of the first things to note is that besides Estonia, the only countries in Europe that are growing at a rate of over 1 percent are either in the Balkans or right next door (Romania). Most of Western, Central and northern Europe is growing at under 1 percent and a few countries even experienced first quarter contraction: Ireland, Hungary and Poland, among others. The second thing to note is that while the Balkans have decent growth rates, unemployment is very high, as it is throughout southern Europe, from Spain to Greece. Italy’s unemployment figure is somewhat misleading as there is a huge north-south divide. In southern Italy, unemployment is closer to the rate seen in Balkan countries than Italy’s average. There is a huge discrepancy between the status of various economies even within the eurozone. This is one of the fundamental challenges that has dogged the EU relentlessly since the 2008 financial crisis. Policies that may be good for certain European countries, such as Germany (which has low growth and low unemployment), cannot possibly help a country like Spain (which has growth marginally higher than Germany but an employment rate five times higher). We often discuss Europe’s overall stagnant economy, and how this poses a challenge particularly for export-dependent countries like Germany. This map does a good job of identifying some of Europe’s key problems going forward. These problems don’t have easy fixes and will continue to shape geopolitics for the rest of the year and beyond. Two developments in Pakistan Occupied Kashmir (PoK), i.e. 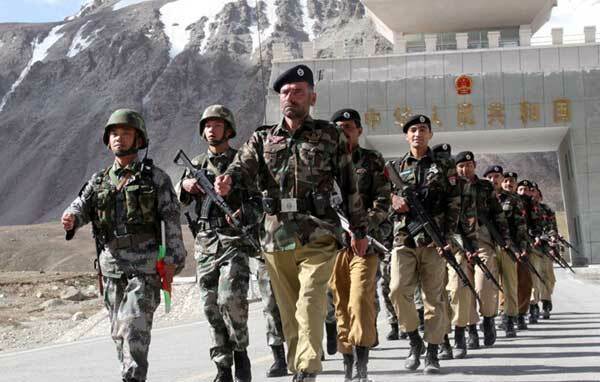 forthcoming elections in region (PoK less Gilgit-Baltistan) and joint patrolling by security forces of China and Pakistan on PoK-Xinjiang region, have vital lessons for India, particularly for Kashmiris, seduced by the military-intelligence establishment of Pakistan. These two developments stand juxtaposed at a time when the pro-Pak elements in the Valley, are busy inflaming and destroying their own land while lamenting and deifying Burhan Wani, a dead jihadi as martyr. Nothing much can be done about people who possessed by bigoted and imported religious frenzy are adamant on self-destruction. The pro-Pak elements have been made to believe that Burhan was a freedom fighter, a soldier of Islam, engaged in the sacred duty of waging war against India. They feel India has no right over Kashmir and Kashmiriyat. They clamour for Pakistan in the misplaced notion that muslims in that country are secure and prosperous. It is their belief that Kashmiriyat at best is an adjunct of Islam. Such a belief automatically excludes the Kashmiri Hindus and hence their forefathers. To tell them that their ancestors were Hindus, invites stoic silence. There is advantage that accrues from that silence. But for that silence, Indianness or Hindustaniyat would reassert and pose a question mark on the very idea called Pakistan. Consequently the militant or jihadi industry would be endangered. While the pro-Pak elements in the Valley pretend to forget their ancestors, there is the opposite tendency in the PoK, the part from which Gilgit-Baltistan has been hived off. The U.S. Cyber Command is still working to get its full 6,200-member, 1333-team complement up to full operational capacity b 2018, but its leaders have said all along that individual teams would be put to work as soon as they’re formed. And the first teams of cyber warriors are now expected to take the field early this fall. Adm. Michael Rogers, director of the National Security Agency and the Cyber Command, said recently said the first portion of the cyber force should get to initial operating capability by Sept. 30, NPR reported. At a presentation at the National Press Club, Rogers compared the expected deployment to putting a fighter squadron in play with only five of its 24 aircraft ready, but said that the demands of cyber operations make the deployments necessary. "We find ourselves in a situation a little unusual in the military arena," Rogers said, according to NPR. "As soon as we get a basic framework, we are deploying the teams and putting them against challenges." A Marine officer uses a commercial tablet in an experimental exercise. The Marine Corps and National Security Agency have joined forces to bring cellphones to the battlefield by 2019. Working with the NSA’s new Commercial Solutions for Classified (CSfC) program should let the Marines acquire cutting-edge civilian technologyswiftly without sacrificing security, said Maj. Kevin Shepherd of Marine Corps Systems Command. The Marine Corps hasn’t chosen a vendor yet. The Army’s comparable Nett Warrior program and some intriguing Marine experiments have gone with Android, but Army Special Operations Command just dumped its Androids for iPhones, so there’s a precedent for either choice. The competition will kick off with a formal Request For Proposals (RFP) this fall — perhaps even before fiscal 2017 begins on October 1st — with an eye to getting fielded systems in the hands of young squad leaders in 2019. The Army Nett Warrior system uses Android. The Taliban took control of the district of Qala-i-Zal in Kunduz province after an operation the put Afghan forces under siege, Afghan officials and the Taliban confirmed. The district is the latest to fall under Taliban control. Asadullah Omarkhil, the governor of the northern province of Kunduz, said that the security forces lost the district to the Taliban on July 20. “Most parts of Qala-i-Zal are in the hands of the Taliban but our military operations continue there to re-take control of the district,” Omarkhil told TOLONews. The Taliban touted the operation to retake Qala-i-Zal on its official website, Voice of Jihad. “Officials reporting from northern Kunduz province say that Qala Zal district which was under the tight siege of Mujahideen for the past 3 days has now (late afternoon hours) completely fallen under the control of Islamic Emirate,” the Taliban reported on July 20. “The latest round of clashes in which the district administration building, police HQ, municipality and all the remaining check posts fell to the Mujahideen has left 8 hirelings dead and 15 others wounded,” it continued. The Taliban also claimed it captured “a sizable amount of arms and military equipment” as well as vehicles during the operation. Kunduz province has been the scene of heavy fighting during the past year, and all seven of the districts in Kunduz are either controlled or contested by the Taliban. In September 2015, the Taliban overran Kunduz City and held it for two weeks before US-led Afghan forces regained control of the provincial capital. The Taliban currently control 40 districts in Afghanistan and contest another 43, according to data compiled by The Long War Journal (see map above). Districts under Taliban command are being administered by the group, or the group controls the district center. Typically the Taliban dominates all of the areas of a district except the administrative center in contested districts. The Taliban likely controls or contests more districts displayed on the map above, however the districts listed on the map are ones that can be confirmed via independent sources such as Taliban claims, government reports, and news reports. Even as Prime Minister Nawaz Sharif is locked in a one-upmanship race with the Army Chief Gen Raheel Sharif on cornering India over violence in the Kashmir valley, Pakistan Occupied Kashmir (PoK) is getting ready for army – supervised Assembly elections under the shadow of violence and arson. The field is open only to parties that have accepted accession of PoK with Pakistan. More than 17,000 army personnel and 15,200 paramilitary personnel are already on “election” duty, prompting Pakistan People’s Party to cry foul. In fact, the PPP has already hit the streets saying that the Sharifs are rigging the one day- ballot on July 21. Elections in PoK are generally a mere formality with the King’s party in the saddle in Islamabad securing the mandate. Pakistan Muslim League -N (PML-N) is the front runner this time around though Rawalpindi’s Team B (Imran Khan’s Pakistan Tehreek-e-Insaf, PTI) is giving both PML-N and PTI a run for their money. Repeated clashes between PML-N and PPP have claimed several lives. Minister for Electricity Faisal Mumtaz Rathore was attacked during a campaign meeting. And at an Eid Milan party, activists of both parties opened indiscriminate fire, and indulged in acts of arson. Scores of people including a former minister were injured. As many as 427 candidates are in the race for the 41-elected seats in the 49-member PoK assembly, which has very limited powers. Of them, 328 are contesting in the 29 constituencies in PoK and 99 will be competing for 12 Kashmiri refugee constituencies spread across Pakistan. An estimated 21.81 lakh voters will decide their political fortunes. The economy remains the major problem for the people that run China. Islamic terrorism, foreign affairs and military reforms all matter much less than the health of the economy. The government says all is well but a growing number of foreign economists and Chinese business leaders have doubts. The foreigners can speak openly while Chinese critics must be discreet. The government predicts GDP growth for 2016 to be about 6.5 percent which and that estimate has not wavered. That makes a lot of experts wary, because as time goes by more evidence of past falsification of data become obvious. There are a lot of old problems that can no longer be hidden. These include massive pollution, corruption, and unprofitable state owned industries. These problems have gotten worse and are crippling economic growth and must be tended to. Territorial claims in the South China Sea and India are distractions from what concerns people most in China; the economy. Thus while Japan continues to be a useful villain for distracting propaganda the government also realizes that Japanese economic power, expertise and experience with economic crises (in an East Asian cultural context) are more useful to Chinese survival. This cannot be admitted publically, but then neither can a lot of essential truths. It’s the East Asian way. Some things the leaders have to discuss openly and one that involves most Chinese is the government effort to deal with corruption. A recent decision seems promising and it involves changing the rules for monitoring the performance of the most senior officials and investigating corruption among people who were long believed immune to such indignities. This puts the government back on track because assurances were made in early 2016 that the anti-corruption campaign would not only continue but intensify. In the past mainly lower ranking Chinese Communist Party members were prosecuted but by 2015 it became clear that if the corrupt senior party members were not shut down the widespread corruption would survive and thrive. So prosecutors were told that no one was immune and throughout 2015 some of the most senior government and Chinese Communist Party officials were being prosecuted. This was unprecedented and if the investigators are allowed to prosecute everyone who was dirty there would be a lot of new faces in the partly leadership by the end of 2016. Then came the Panama Papers. Chinese leaders hate surprises like this but it became and by May investigations of senior officials seemed to be fading. Apparently not. Just half a century ago, the two nations were at the verge of starting a nuclear war. Going back even further, in the early 20th century, both countries were in the middle of the communist revolutions. National leaders Joseph Stalin and Mao Zedong came out as leader of the respective countries, following communist revolutions. Xi sent a powerful signal about his foreign policy vision by choosing Russia as the destination for his first trip abroad as China’s president. 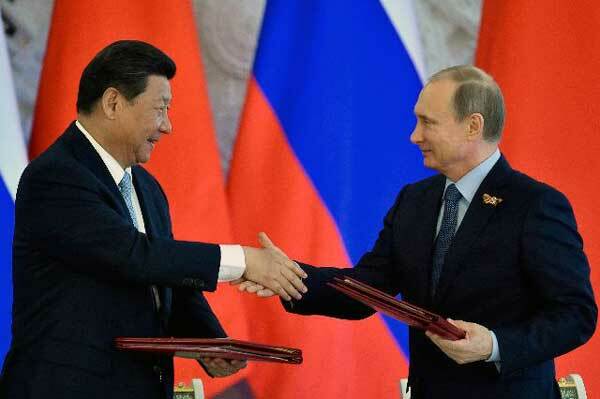 An ideology of communism was adopted by China and Former Soviet Union (Presently Russia) which laid the foundation of their respective ties with one another. Their relations were soon tested In November 1950, when China and the United States went to war. Thirty-six thousand Americans died, along with upwards of a quarter million Chinese, and half a million or more Koreans. The opening Chinese offensive, launched from deep within North Korea, took U.S. forces by complete operational surprise. The U.S.-led United Nations offensive into North Korea was thrown back, with the U.S. Army handed its worst defeat since the American Civil War. As the Korean War was long drawn Joseph Stalin approved an aerial support for the PLA (People’s Liberation Army) which dramatically reduced the chances of U.S. army’s occupation of North Korea for the second time. Kaine Is a Solid Choice for Clinton, But What About the Left? It’s official: Democratic presidential nominee Hillary Clinton has chosen “boring” Tim Kaine as her running-mate. But it just so happens that this boring junior senator from Virginia is a political winner. Sen. Kaine has never lost an election in his life, and he has been in the political arena for quite some time. Kaine’s resume is about as long as an Ivy League-schooled intern in Washington who embellishes every single accomplishment or award that he or she won in college. But in the case of Kaine, the resume is genuine and bursting with experience on both sides of the executive-legislative divide. First elected to the Richmond’s city council in 1994, he quickly rose up the ranks of Virginia politics over the next two decades. In just twenty-two years time, Kaine was a councilman, the Mayor of Richmond, the Lieutenant Governor of Virginia, the Governor of Virginia, and Senator of Virginia — a winning streak, mind you, that happened in a state that is historically Republican in ideology. The political world is not shaking from Hillary’s VP announcement. You could see the appointment of Tim Kaine from miles away; he was frequently cited by Clinton allies inside and outside the campaign as a solid and reliable choice who could pick up the reigns and govern during a time of crisis. Hillary Clinton likes workhorses, not showhorses, and Kaine is definitely a workhorse — a bipartisan one at that. He is usually a participatory in some bipartisan grouping in the U.S. Senate hoping to get something pragmatic done. On immigration reform, he was a supporter of what the “Gang of Eight” was trying to do. And just a month ago, he partnered up with four Republicans, three Democrats, and one independenton a gun control measure that would make it more difficult for those on the No-Fly List to acquire firearms. Canadians of Hong Kong descent now have another consideration when traveling to China. Late last month two teenagers born and raised in Canada were denied 10-year visas to China based on the fact that their parents were born in Hong Kong. Perhaps more alarmingly for the hundreds of thousands of Hongkongers who have fled to the safe harbor of Canada, and other democracy-friendly nations, the teens were told that they must travel to China as Chinese nationals. These are not standalone cases either. 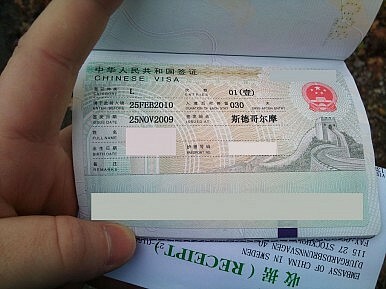 Hong Kong Chinese language media have reported that a number of first generation Canadians, who were born in Hong Kong, are being forced into the same situation; and the Hong Kong-born, Australian author of this article has also experienced the same treatment by Chinese visa authorities. Ottawa is now querying Beijing over these recent cases, and have asked China to clarify any changes they have made to visa requirements and migration laws. Canadian Member of Parliament Jenny Kwan, who was born in Hong Kong, said she pressed Foreign Minister Stephane Dion, urging him to look into the visa situation.Enjoying this article? Click here to subscribe for full access. Just $5 a month. “The change in practice should be of grave concern to Canadians; after all, a Canadian is a Canadian. As such, should all Canadians not be treated the same?” Kwan said. Despite China’s great power aspirations, its cyber warriors threw a fit after losing a legal battle to the Philippines in The Hague. Within hours of the Permanent Court of Arbitration’s unanimous rebuke of China’s territorial claims in the South China Sea last week, at least 68 national and local government websites in the Philippines were knocked offline in a massive distributed denial of service (DDoS) attack. This is not the first time the landmark legal dispute over the South China Sea has flared up in cyberspace. 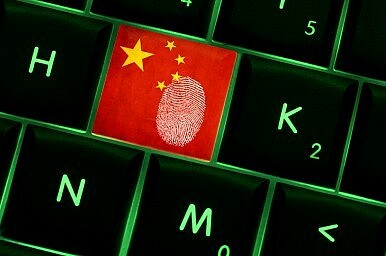 Last summer, Chinese hackers allegedly breached the court’s servers during a hearing on the territorial dispute, leaving anyone interested in the landmark legal case at risk of data theft. Last fall, Jason Healey and I predicted that “the Philippines (and its U.S. allies) should […] start preparing now for a massive digital tantrum by Chinese patriot hackers if the ruling […] goes against the Middle Kingdom.” And while the Philippine government has not yet publicly assigned blame for the most recent attacks, context and timing serve as damning evidence. Forces aligned with Libya’s U.N.-backed government fought fierce exchanges with Islamic State militants in Sirte on Thursday in which 13 of their fighters were killed and more than 110 wounded, officials said. The government-backed forces have pinned militants back to a small area in the centre of the coastal city after advancing on the Islamic State stronghold in May. But they have faced stiff resistance from the several hundred militants thought to be still holed up in Sirte, suffering casualties from snipers and explosive devices. On Thursday the government-backed forces said in statements that they were advancing on two fronts after bombarding Islamic State positions from the air and the ground at dawn. They said there was heavy fighting in the Dollar neighbourhood and around the port. The forces are mainly made up of fighters from the city of Misrata, though other western Libyan towns and cities have also contributed men. They have received some support from the U.N.-backed Government of National Accord (GNA) in Tripoli, but many fighters feel let down by the government and its Western allies, saying that a lack of medical support, equipment and ammunition has hindered their progress. HAS THE ISLAMIC STATE ABANDONED ITS PROVINCIAL MODEL IN THE PHILIPPINES? Two weeks ago, the Islamic State’s Furqan Foundation released its first video in over a year. Entitled “Structure of the Khilafah,” this typically overproduced piece of propaganda dives deep into how Abu Bakr al-Baghdadi’s organization operates. There is much of interest in the video, but one aspect of it that stands out in particular is a portion that zooms in on the technicalities behind the Islamic State’s provinces, of which, the narrator asserts, there are 35: 19 in Iraq and Syria, and 16 elsewhere. Intriguingly, the video omits mention of Bahrain Province, which claimed an attack on a Shia mosque in Manama in October 2015, and Sahil Province, which was responsible for the attacks in Syria’s coastal cities in May 2016. It also fails to mention any of the areas from which the Islamic State has been forced to withdraw, likeIdlib Province, as well as those within which it claims to be present but hasn’t established provincial affiliates in, likeSomalia, Indonesia, Tunisia, and the Philippines. The Furqan Foundation media team likely conceived of this video as a way to further fetishize the caliphate’s administrative arsenal and foster its cult of institutions. However, through it, they inadvertently draw attention to the fact that their organization’s momentum has dramatically slowed. Indeed, as Aymenn Jawad al-Tamimi hascommented, the video presents its viewers with a glaring reminder that there has been no real geographical expansion since June 2015, when the Caucasus Province was ratified. MOSCOW — A report by two leading human rights groups released on Thursday accusesUkraine’s Western-backed security services of practicing abuse and torture in a manner similar to that of the rebel groups they are fighting. In the report about disappearances and torture in the Ukraine war, titled “You Don’t Exist,” Human Rights Watch and Amnesty International document harrowing abuse by both sides, including waterboarding and the use of electrical shocks. Ukraine has been battling Russian-backed separatists in the country’s east since 2014, with fighting grinding on despite a cease-fire. This week, seven Ukrainian soldiers died in a single day of fighting. The front line zigzags through several towns, so that worries about spies and surreptitious artillery spotters among the civilian population run high in the armies of both sides, and abuse follows, the report said. “People in eastern Ukraine who are being seized and hidden away by the warring sides are at the mercy of their captors,” Tanya Lokshina, a researcher with Human Rights Watch and one of the authors of the report, said in a statement. “It is never legal or justified to seize people off the streets, cut them off from contact with family and lawyers, and beat and abuse them,” she said. WASHINGTON -- America's top spymaster offered contrarian assessments of some key issues -- warning against "hyping" the threat posed by the Syrian terror group Jabhat al-Nusra, cautioning against administration plans to share intelligence with Russia on Syrian targets, and questioning Turkish claims that last Friday's coup was organized by a cleric living in America. Director of National Intelligence James Clapper made the characteristically blunt comments in an interview Wednesday. They expanded on his warning in a May interview that the U.S. can't by itself "fix" the problems of the turbulent Middle East. Clapper's skeptical view is shared by President Obama and has reinforced the administration's wariness about committing military force in Syria. Clapper began the wide-ranging discussion by questioning the recent "groundswell" of concern about Jabhat al-Nusra. He said the Syrian al-Qaeda affiliate poses only a "nascent" danger to the U.S. homeland and "doesn't approach the threat" posed by the Islamic State. Jabhat al-Nusra's ability to attack the U.S. and Europe is "aspirational," rather than "imminent," he said, describing as overly "strident" recent press reports about increasing evidence of external plots by the group. Clapper's skepticism about Jabhat al-Nusra is matched by his wariness of collaborating with Russia in strikes against the group, an approach Obama has tentatively approved. "I've expressed my reservations about, for example, sharing intelligence with [the Russians] ... which they desperately want, I think, to exploit -- to learn what they can about our sources and methods and tactics and techniques and procedures," he said. It has been a month since the UK voted to leave the European Union — but something is missing. Where is the economic collapse? What of EUpocalypse Now? Where is the Brexageddon that we were promised? To the shock of many — not least business titans who bankrolled the Remain campaign — the instant collapse doesn’t seem to be happening. The UK economy is, for now at least, taking Brexit in its stride. How about all those international banks quitting the City of London? Last week the US banking thoroughbred Wells Fargo forked out £300 million for a new world headquarters — in London. Since Brexit, the likes of Goldman Sachs and JP Morgan have hailed the City as ‘one of the most attractive places in the world to do business’, citing its ‘stable legal system’ and ‘deep liquid capital markets unmatched anywhere in Europe’. But surely leaving the EU is so rash it’ll spark financial collapse? While UK stocks took a hit straight after the referendum, the FTSE 100 share index is now 6 per cent higher than before we voted. Even the FTSE 250, comprised of smaller, more UK-centric firms, has almost completed its recovery. DUBLIN — At Eason’s book shop on O’Connell Street, at the Gutter Bookshop in Temple Bar and at Hodges Figgis on Dawson Street, the windows are filled with all the new titles on the Easter Rebellion of 1916. And for €20, you can take a guided whirlwind tour, in a truck fitted out in military style, of the key landmarks of the insurrection that marked the birth of the Irish Republic and have yourself photographed with “authentic period replica weapons and equipment.” The 1916 Freedom Tour takes about an hour. Then there are the innumerable academic symposia, the television documentaries, the solemn commemorative ceremonies and the parades. This year in Ireland, everything was supposed to be about history, but now, out of the blue, the United Kingdom’s June 23 referendum on the European Union has dragged the thorniest questions about Anglo-Irish relations, and Irish national unity, straight out of the past, directly into the present, the possible and the political. On Tuesday, this was the banner headline in the Irish Independent: Get Ready for a United Ireland. Of the many unanticipated consequences of Britain’s vote to leave the EU, none was so ill considered as the potential damage a Leave vote would do to the 1998 Good Friday Agreement, the settlement that ended decades of sectarian violence and reconciled a 26-county Irish republic with British sovereignty in the U.K.’s six Ulster counties. The agreement, which allowed for shared citizenship and eliminated all the heavily guarded checkpoints on the absurd border between North and South, was predicated in no small measure on shared EU membership. Now, everything’s up in the air again. In Northern Ireland, where a majority voted to remain within the EU, there has been such a run on requests for Irish passports that Ulster’s General Register Office, which handles births, deaths and marriages, has had to suspend its ordinary operations to handle the spike in applications. Unless some other legal route opens up, there is only one way for those in the U.K.’s six Ulster counties to get back into Europe, and it’s through the Irish Republic. Turkey is a long way from Cleveland, where the Republicans are holding their presidential convention. But I’d urge you to study the recent failed military coup against Turkey’s President Recep Tayyip Erdogan. America is not Turkey — but in terms of personality and political strategy, Erdogan and Donald Trump were separated at birth. And the drama playing out in Turkey today is the story of just how off track a once successful country can get when a leader who demonizes all his rivals and dabbles in crazy conspiracy theories comes to believe that he alone is The Man — the only one who can make his country great again — and ensconces himself in power. 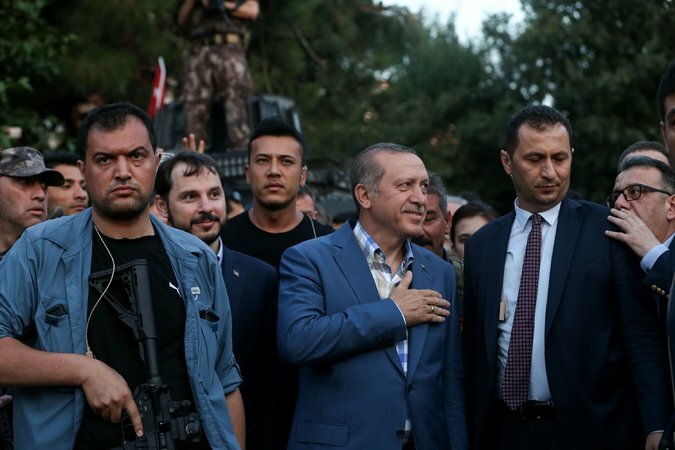 Anyone who has been following Turkey closely knows that Erdogan has been mounting a silent, drip-by-drip coup of his own against Turkish democracy for years — jailing reporters, hounding rivals with giant tax bills, reviving an internal war against Turkish Kurds to stoke nationalist passions to propel his efforts to grab more powers — and by generally making himself into a modern-day sultan for life. Has Satellite Imagery Found a New North Korean Nuclear Processing and Enrichment Site? A U.S. policy institute said it may have located a secret facility used by North Korea in the early stages of building its program to enrich uranium for nuclear weapons, which if confirmed would be critical to the success of any future nuclear deal, according to a report seen by Reuters on Thursday. The report by the Institute for Science and International Security said there has always been doubt about whether North Korea has disclosed all of its nuclear facilities. Confirming their location would be critical to the success of any future agreement to freeze and dismantle North Korea’s nuclear weapons program, it said. The site, 27 miles (43 km) from the nuclear complex at Yongbyon, may have played a key role in development of centrifuges that refine uranium hexafluoride gas into low-enriched and highly enriched uranium, the report said. “It is necessary to identify where North Korea enriches uranium and part of that is understanding where it has done it in the past,” said David Albright, the institute’s president. What may once have been the early centrifuge research and development facility is believed to have been inside an aircraft part factory inside a mountain next to Panghyon Air Base. It was located using commercial satellite imagery, the report said. By most accounts, America’s efforts to covertly train and supply moderate rebels in Syria aren’t going so well. Apart from the obvious (Assad is still firmly entrenched in power and continuing to receive ever-growing external support), The New York Times recently reported that some arms provided by the Central Intelligence Agency (CIA) and Saudi Arabia haven’t quite reached their intended targets. According to the report, some individuals in Jordan’s intelligence bureau — ostensibly partnering to funnel weapons to Assad’s opponents — stole weapons destined for U.S.-backed rebels and instead sold them on the black market. This is not the first time an American-led covert operation has gone awry, and it certainly won’t be the last. Consider Operation Cyclone, the covert U.S. arms pipeline to the mujahideen in their fight against the Soviet Union in Afghanistan throughout the 1980s. Long held up as a success story in Cold War proxy warfare, the mujahideen – supported by the United States, Pakistan, and Saudi Arabia – fell on each other after the Soviets retreated, creating an environment where al Qaeda could later thrive. This White House is certainly no stranger to these lessons of history. During early debates on Syria policy, Obama commissioned a study on the CIA’s track record in covert aid that concluded such efforts seldom work. What, then, is the rationale for U.S. policy in Syria? Why has the White House continued to draw on the tool of covert military aid despite its shoddy track record? Rather than praise or condemn the Obama administration’s approach, our goal is to shed light on some of the considerations that have driven what’s going on and why by drawing on our own research on past covert aid programs. Our findings suggest that escalation dynamics and unique reputational concerns help to explain why the Obama White House finds itself stuck with a covert military aid program of questionable efficacy and impact. A state-sponsored coverup of widespread doping involving an undercover FSB—the KGB successor agency—agent furtively passing clean urine samples through a hole in the wall sounds like a subplot of a Cold War-era thriller. But according to a report commissioned by the World Anti-Doping Agency (WADA), this is part of what happened from late 2011 to August 2015 in the Russian Federation, leading the International Association of Athletics Federations (IAAF) to ban Russian track and field athletes from the 2016 Summer Olympics in Rio de Janeiro. The investigation was spurred by former director of Russia’s antidoping laboratory Grigory Rodchenkov’s assertion that he had administered performance-enhancing drugs to Russian athletes before the 2014 Sochi Olympics with the help of the FSB. The IAAF believes that banning the entire country's track and field team is imperative since the doping system has affected the vast majority of athletes representing and training in Russia. The International Olympic Committee (IOC) has banned all Russian sports ministry officials from the 2016 Games and has advised other winter-sports organizations to avoid patronizing Russia for the time being. The 2018 FIFA World Cup, to be hosted by Russia, will not be affected. Will Brexit Repeat Greece's Tragedy? Former U.S. Secretary of the Treasury John Connally once told a group of European finance ministers that “the dollar is our currency, but your problem.” One June 23, the British people paraphrased Connolly almost too perfectly in their decision to leave the EU: “Exiting the European Union is our decision, but your (and our) problem.” On June 24, the world market reacted to the British public’s Brexit decision with a massive sell-off, with one estimate putting the total loss of financial asset of the black Friday amounted to more than $2 trillion, making it the worst day in world history. While the short-run and long-run impact of the Brexit referendum cannot be precisely estimated, it is certainly going to be far-reaching. One thing is for sure: the Brexit referendum result won’t in any way help an already shaky world economy regain its footing. To some extent, the Greek referendum on the European Central Bank and IMF-backed bailout package on July 5, 2015 was a preview of what was to come with the Brexit referendum. In the Greek referendum, the Greeks voted to reject a more lenient bailout package and caused the collapse of a government, only to have a new government to accept a more stringent package a week later. The international community reacted to the Greek referendum negatively but not so dramatically only because the GDP of Greece is less than 2 percent of the EU total. But the warning signs were all there. As lawmakers and senior United States Air Force (USAF) officials debate A-10 divestment and alternate approaches to close air support (CAS) responsibilities, the divestment of the A-10 community, not the aircraft, poses the largest risk to the future of the mission. In Gen. David Goldfein’snomination testimony, he rightly stated the A-10 community is the Air Force’s “PhD force when it comes to close air support.” Although budgetary conflict over A-10 retirement is healthy dialogue for properly resourcing the CAS mission, the survival of expert tradecraft is far more important. While the hardware debate labors on, preserving the A-10 pilot manning pool as the bedrock of the future CAS pilot community provides an interim solution. Col. John Boyd, pioneer USAF tactician and strategist, believed, “[t]o win wars, people come first, ideas second and hardware last.” He envisioned pilots trained for specific missions and planes designed to maximize their combat effectiveness in those missions. Committed to that ideal, Col. Avery Kay, Pierre Sprey and their concept design team ensured the original A-X program reflected Boyd’s purpose-driven, no-frills philosophy to weapons procurement. The resulting aircraft, the A-10, provides a premier example of mission-driven hardware, but it is not the crowning achievement of the design team’s effort. Instead, it is the matured community of CAS expertise that developed around the A-10 platform. As senior leaders debate A-10 divestment, decision makers must recognize the loss of expert people, not hardware, poses the largest threat to properly supporting America’s sons and daughters on the battlefield. To the West, most of the legendary Soviet aircraft of the Cold War came from the design bureau Mikoyan Gurevitch, which spawned such aircraft as the MiG-15 “Fagot,” MiG-21 “Fishbed,” MiG-25 “Foxbat” and MiG-29 “Fulcrum.” The single best Soviet fighter of the Cold War, however, was Sukhoi’s Su-27 “Flanker.” Intended both to defeat U.S. fighters over central Europe in a NATO-Warsaw Pact conflict and to patrol the airspace of the Soviet Union against U.S. bomber incursions, the Su-27 survived the end of the Cold War to become one of the world’s premier export fighters. The Flanker emerged as part of the high part of the high-low fighter mix that both the United States and the Soviet Union adopted in the 1970s and 1980s. In the U.S. Air Force this manifested in the F-15 and F-16; in the U.S. Navy, the F-14 and F/A-18. The MiG-29 “Fulcrum” played the light role in the Soviet partnership. Sukhoi designed the Flanker with the capabilities of the F-15 Eagle firmly in mind, and the aircraft that emerged resembles the fast, heavily armed, long-ranged Eagle in many ways. Whereas the Eagle looks healthy and well-fed, the Flanker has a gaunt, hungry appearance. Although designed as an air superiority aircraft, the Su-27 (much like the Eagle) has proven flexible enough to adapt to interceptor and ground strike roles. Sukhoi has also developed a wide family of variants, specialized for particular missions but retaining overall multirole capabilities.